Thom has been flying for 27 years, since the age of 16. A long wait since the age of 7 when he decided to be a champion race pilot. 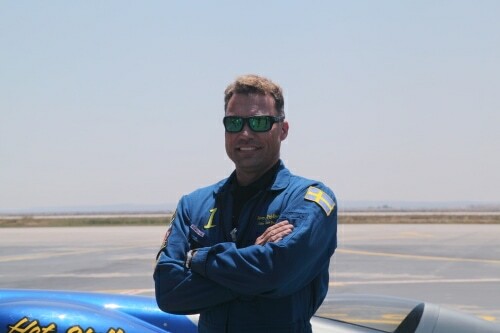 Almost half of his vast 10,500 hours has been accumulated in vintage WarBirds and with great success in racing a famous P-51 Mustang in the Unlimited Class at the US National Championships. Thom won the gold in Monastir, Tunisia, at the first formula one air race ever held on the African continent, Air Race 1 World Cup.